Countless initiatives aim at getting children and young people interested in technology – an important factor in a tech-driven society. Crazy Robots, a project supported by the Austrian Science Fund FWF, demonstrates how it can be done. It all starts with the notion of building a robot according to your own ideas. What should it be able to do, what should it look like and what is needed to make it work? “The robot is just there for me and can do all that needs to be done in my room: clearing up, watering the flowers and taking care of the terrarium. It should be social and a bit like a pet. It must not harm people. 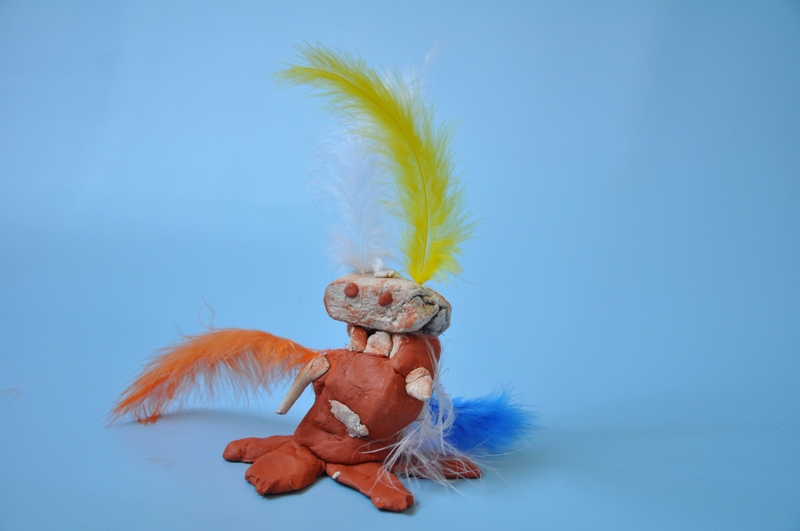 It needs to do anything I say and look after itself.” This is how 12-year-old Ronja from Vienna imagines her own, personal high-tech companion. Ronja is one of the pupils who participated in a project by the Vienna University of Technology (TU Wien) that started in the autumn of 2014. With the support of the Austrian Science Fund FWF, the research group “Vision for Robotics” developed the educational project “Crazy Robots” for schools with the aim of getting children to develop an interest in technology and science and their applications. According to the creator of the idea and head of the project, Lara Lammer from TU Wien, the endeavour has a special twist: “We familiarise the children with the entire concept of product development, from the first idea to the prototype.” As robots hold particular appeal for children, many programmes exist in this domain, for instance using Lego. Initially, the researchers at TU Wien also offered such programmes. “We realized, however, that we reached no more than a third of the children in a class”, relates project member Markus Vincze in an interview with scilog. Accordingly, the project team broadened its approach, created more room for ideas and user-oriented needs and was able to demonstrate that technical progress requires more than just technical knowledge. – The new programme caters to children at various levels, taking account of their individual interests and skills. The range of subjects addressed includes product design and engineering, but also sociology and medicine. A special focus lies on sensor technology and image processing, the speciality of the Vision for Robotics Group. “We want to show that robotics is an integrative science involving the co-operation of creative people from a great variety of disciplines”, notes Markus Vincze. Children get a first-hand impression of how much variety and creativity (technological) science can involve. They have to do more than just observe, however. The classes are held not only at school, but 10-to-14-year-olds visit labs in order to watch the “robot researchers” at work, and this is where the hands-on part begins. The management of Schräge-Roboter-GmbH assigns projects to the pupils in order to build the initial prototype of a robot for children. At that phase of the project, the children choose what team they want to belong to: “construction”, “human-robot interaction”, “research and development”, “design” or “marketing and sales”. Finally, all the teams meet to assemble the prototype, evaluate the results and present the “project” to the management at TU Wien. 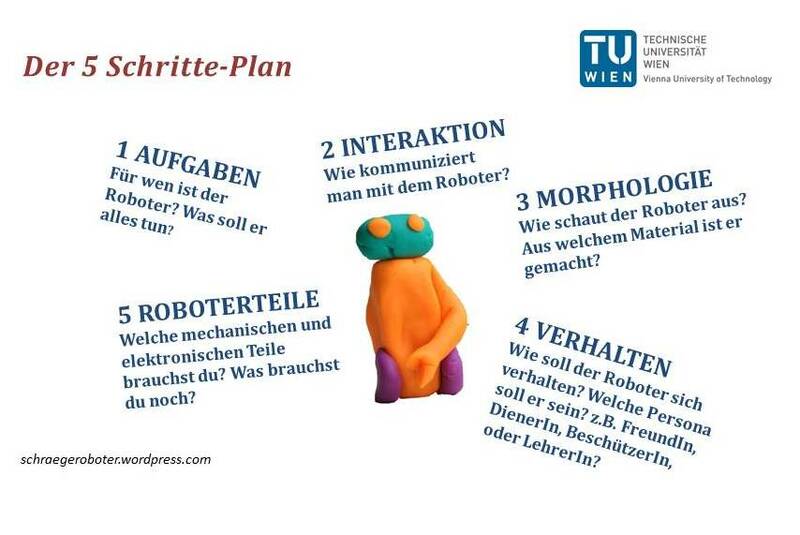 With their concept, the experts from TU Wien have chosen the right approach. Over time, the team was able to secure funding from the EU in order to continue and develop their project which by now also involves students at TU Wien. They learn about the product development concept in lectures and then share their newly gained knowledge with the children. “This has worked extremely well and everyone benefits”, Vincze is happy to report. He is convinced that enthusiasm for science and an understanding of what it involves needs to be instilled at an early age. “Nowadays, robotics is used in many fields, such as medicine and industrial applications, but one hardly notices it”, comments Vincze. This is why the public image of robotics is influenced more by science-fiction than by factual knowledge. As an expert he admits there is still a long way to go before friendly robots are put to work as household helps. He himself has been spending several years on the development of HOBBIT, a robot designed to help elderly people. “The children of today will hone it to perfection”, the researcher says with confidence. Markus Vincze heads the Vision for Robotics Group at the Automation and Control Institute (ACIN) within the Faculty of Electrical Engineering and Information Technology, Vienna University of Technology. The Institute is engaged in basic research, including the fields of industrial automation and cognitive robotics. 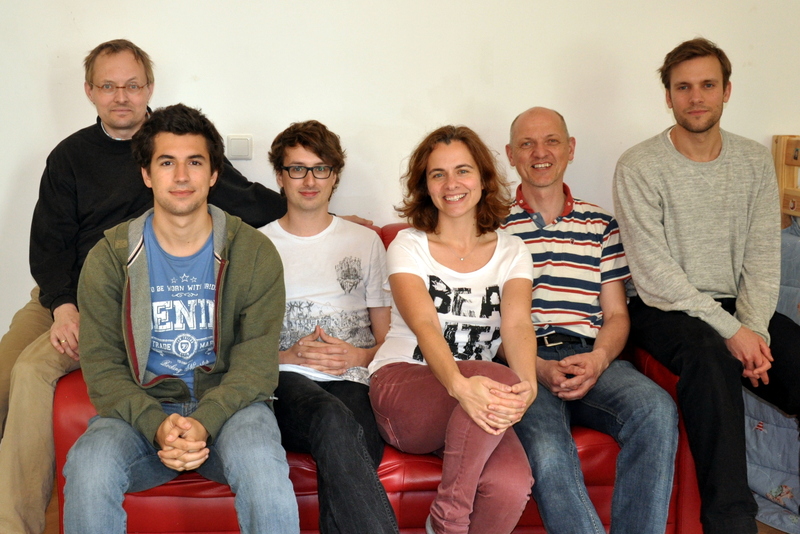 The research team places a special focus on developing machine vision to make robots see. Lara Lammer developed the Crazy Robots project.